“PERMEABLE PAVERS”, specifically, permeable interlocking concrete pavers (PICP), are installed with layers of varying-sized stone or aggregate underneath that filter and direct stormwater to underground aquifers. 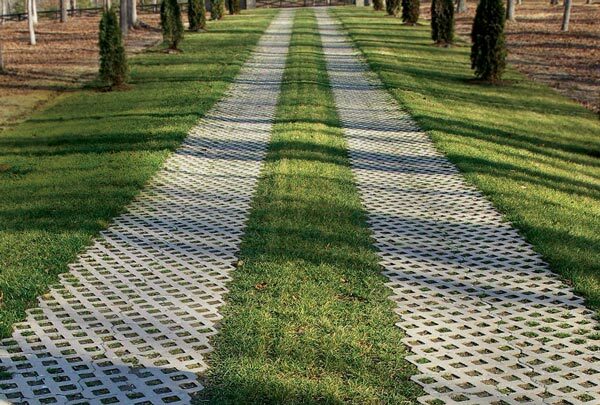 Permeable paving mimics the way natural land absorbs water. With permeable concrete pavers, any rain that falls on your patio, walkway or driveway seeps back into the ground or the nearest storm drain. 1. Infiltrate water back into the ground to recharge local groundwater supplies. 3. Subsurface water storage creates increased surface space on which to develop roads, driveways, parking areas, public spaces, houses and other revenue-generating structures. We can work with your Developer or Landscapers plans for paving, or we’ll have our Commercial Designers help you. We can help you design your property’s parking lots, to get the most parking spots, meet ADA requirements and we’ll make sure the flow of traffic for both cars and pedestrians is safe and effective. 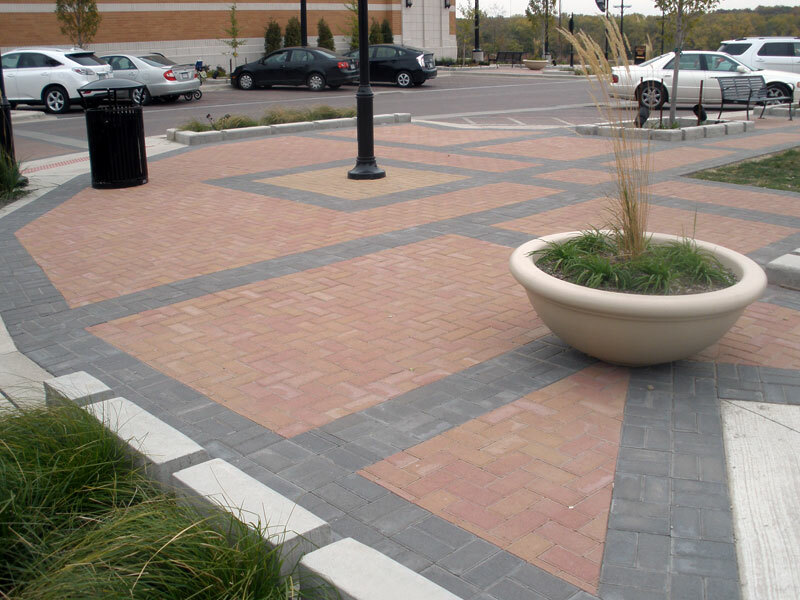 When commercial brick paver projects call for Permeable brick pavers in Denver, no-one has more experience than Stone Creek Hardscapes. 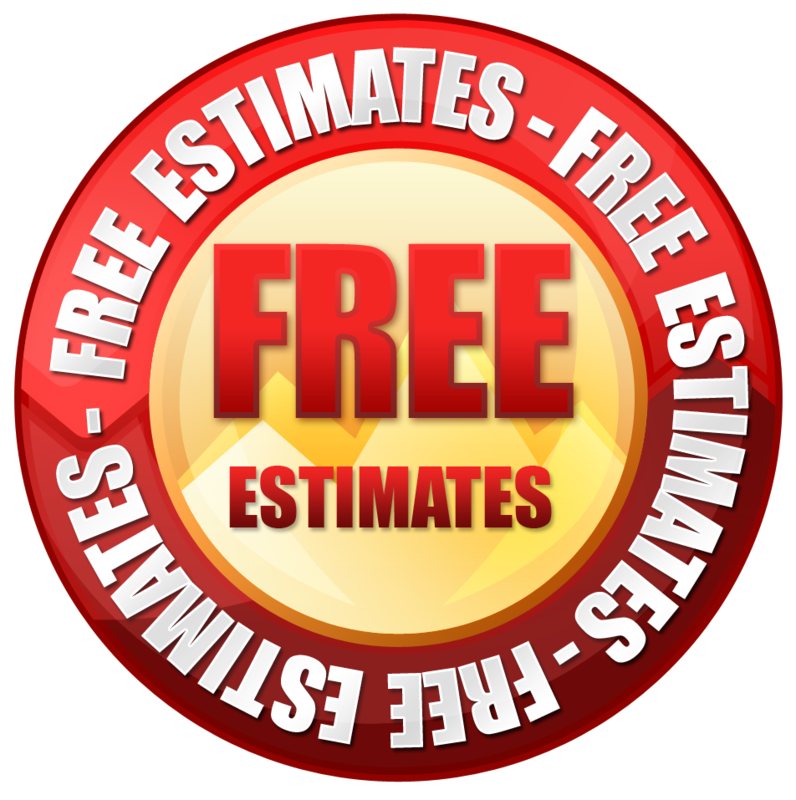 We can meet the most demanding schedules and we’re fully Licensed and Insured. If your concerned with environmental problems and the movement and or the saving of water; Permeable or Pervious pavers are your best solution Pervious pavers are solid, but spacing allows water to drain between them. 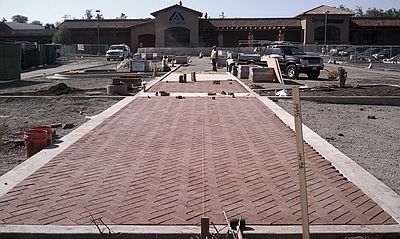 Pavers are placed over a bed of sand or gravel, which filters water before it percolates into the ground. 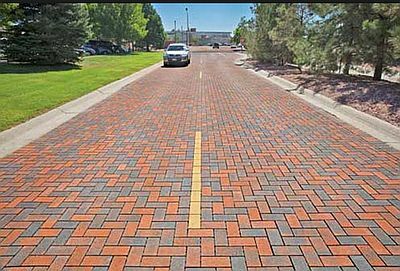 Permeable pavers are extremely durable and they’re made from concrete or stone. 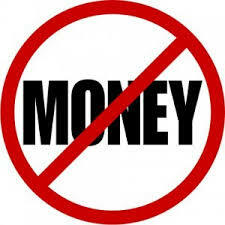 They’re available in many different styles and configurations. The benefits of permeable pavers are: Help with your landscaping by reducing erosion that happens when grass dies. 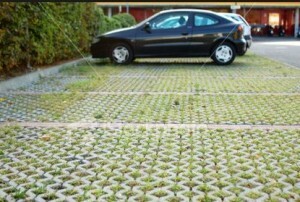 Permeable pavers will also eliminate standing water where mosquitoes breed. Permeable pavers also: Allow water to filter water back underground to recharge local groundwater. Permeable Pavers will help to maintain base flows in rivers and streams to protect ecosystems which will reduce the water used for landscaping. 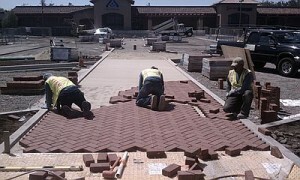 We can create a parking lot, driveway or parking area with permeable pavers or open cell concrete blocks. The blocks will easily support vehicles and they’re open to allow water to drain through them. The spaces in the blocks or bricks are filled with gravel or sand. Grass or low ground cover will also grow in the open spaces, creating a very attractive parking lot or street, which also helps to reduce the heat that comes from conventional asphalt and concrete paving. 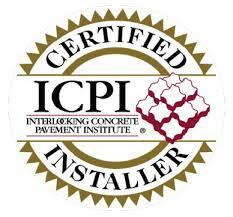 If some areas call for concrete we can use pervious concrete, or porous concrete pavement, which is a highly porous concrete, made from aggregate and cement, which binds the aggregate together. Pervious concrete unlike regular concrete contains very little sand, resulting in a large number of open spaces in the concrete, through which water can flow into the ground. This is becoming the most popular paving stone for parking lots large and small.